GPS tracking isn't just for checking vehicle locations. 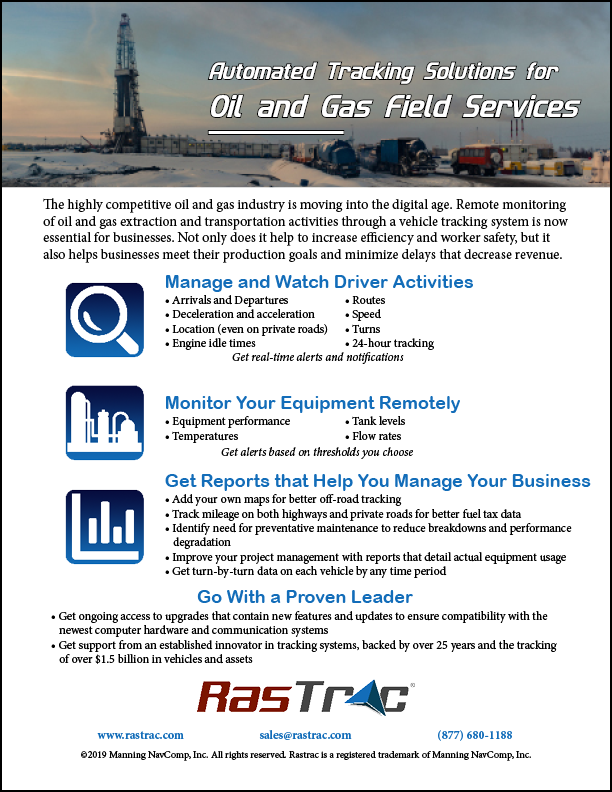 Keeping track of Oil and Gas Field Equipment has never been easier. Get alerts based on thresholds you choose, 24 hours a day for tank levels, temperature, equipment performance, flow rates, etc. Watch driver activities and behaviors. Prevent equipment breakdowns and performance degradation with remote diagnostics. Create reports that detail actual usage and performance on the job.